Vivienne Westwood Man London wool flannel James Bond Jacket. dark navy blue with light grey stripe. Large lapels. 3 button fastening. 2 angled pockets with flaps and angled chest pocket. 3 button working cuffs. Slight cut-away style. Single vent at rear. Single pocket with button fastening inside. Fully lined green fabric. 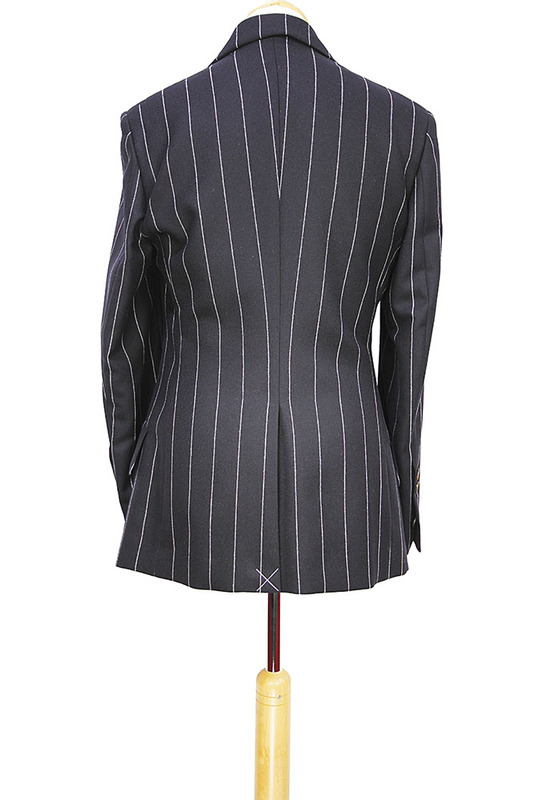 This jacket matches the trousers in the same fabric to make a wonderful pinstripe suit.